Dingers! tells the history of the round-tripper, from forgotten blasts of the last century to Babe Ruth to the chasing and breaking of the Babe's records to today's pumped-up tater totals. 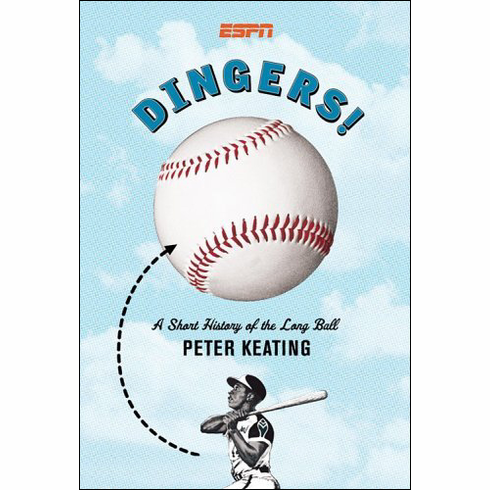 Its narrative traces the relationship among home runs, players and fans, showing how going yard has grown in importance, to the point where jacking the ball over the wall often overshadows the actual results of games. Relying on extensive archival and statistical research, Dingers! splices both the lore and the numbers that baseball fans love into its main story. Sidebar essays, boxes, charts and photos lay out answers to a wide range of home run questions. Some historical: Did Ruth really "call" his shot in the 1932 World Series? Some statistical, often relying on new and exclusive analysis: Whose home runs made the most difference in the largest number of close pennant races? Some purely subjective conversation-starters: Who had the best nicknames, or wrote the best stories, or sang the best songs, or had the best home run calls, inspired by home runs? Easy to read for history, browse for nuggets, or use for reference, Dingers! appeals to casual fans and seamheads alike. Think of it as your one-stop guide to going downtown. Hardcover, 176 pages, 5" x 7.5".